MainOpEds INTO THE FRAY: Liberman-A dove in hawk’s feathers? With the departure of the largely antagonistic Obama administration, the allegedly “most right-wing government in Israel’s history” can no longer fall back on its excuse de jour for its long-standing flaccidity and ambivalence on one of the most crucial issues on the nation’s strategic agenda: The contours and extent of its permanent borders. Indeed, apart from a few short-lived declarations of pseudo-resolve in the immediate wake of the changing of the guard at the White House, the Israeli leadership seems to have slipped back into its compliant pre-election mode of reticent hesitancy regarding the future of Judea-Samaria. Instead of seizing the moment and presenting the incoming administration with a new robust and assertive policy blueprint, the Israeli government hummed and hawed, essentially receding back to positions not very different from those it adopted under the Obama-administration. First there came the less-than-enthusiastic Israeli response to Donald Trump’s forceful expression of intent to move the US embassy to Jerusalem. Confronted by this display of overt Israeli vacillation and indecision—even manifest unwillingness—to resolutely pursue goals it purportedly aspired to, it is more than plausible that the US itself felt it prudent not to adopt an overly aggressive pro-Israel position. Accordingly, faced with a clearly pliant Israel, it was hardly surprising therefore that, at the end of Netanyahu’s recent Washington visit, Trump’s statements were considerably less far-reaching than might have been expected from his pre-election rhetoric. After all, why should the Americans factor concern for Arab opposition into their Mid-East policy any less than the Israelis do? Obama as a convenient excuse? Indeed, with Obama gone, and an unabashedly pro-Israel supporter ensconced in the White House, Israel’s timidity could no longer be attributed to US pressure—but only to the faintheartedness of its own leadership. Consistent with, and characteristic of, this lack of national assertiveness was Monday’s statement by Defense Minister Liberman that Israel should forgo any pursuit of sovereignty over Judea-Samaria, lest such an attempt incur the ire of the new administration. Coming hard on the heels of persistent reports that Netanyahu is considering a renewed construction freeze in the Jewish communities in Judea-Samaria (see here, here and here)—it strongly suggests that Israel’s post-Obama era policy on “Palestine” is in principle very similar to its Obama-era one. Sadly, this leaves us scratching our heads in puzzlement, wondering whether the Israeli government has—in any meaningful way—grasped the potential change the US election could usher in for Israel’s freedom of action—and the resultant opportunities it could open up. Israeli equivocation (or worse) was aptly summed up by David Weiner in Bloomberg, who noted that “Netanyahu griped about Obama, but U.S. ‘bad cop’ had its uses”, adding with what appears to be lamentable accuracy: “Israel’s right-wing leaders have been waiting for an American president like Donald Trump. But now that he’s here, they can’t agree on how to take advantage”. The appointment of Liberman to the post of defense minister to replace former IDF Chief of Staff, Moshe “Bogie” Yaalon was hailed by some on the “Right”, who, disappointed by what they viewed as the less-than-robust position of Yaalon on a number of issues, saw him veering distinctly leftward. The general sentiment was that the appointment of Liberman would, apart from broadening the very narrow base of support for the Netanyahu-led coalition, introduce a significantly tougher approach, particularly toward the Palestinians. On the “Left”, the appointment was greeted with dismay. In an editorial, the New York Times dubbed it “A Baffling, Hardline Choice”, and characterized Liberman’s positions on “Palestinians, settlements and the Israeli-Palestinian conflict” as “ultra-nationalist”. However, it soon became clear that neither the approval on the “Right”, nor the aversion on the “Left” were really justified. The Palestinians have hardly recoiled in dread at the appointment, as recent rocket fire from Gaza indisputably underscores, nor has Liberman given full reign—indeed, any reign at all—to his allegedly “ultra-nationalistic” proclivity on “Palestinians, settlements and the Israeli-Palestinian conflict”. Quite the contrary, Liberman has embarked on several disturbingly conciliatory measures such as: Approval of Palestinian-Arab construction in Area C; expression of support for the two-state formula,; applauding the “Arab Peace Plan”; and offering to provide Hamas with a seaport and an airport in Gaza. When coupled with Liberman’s latest pronouncement, denouncing the pursuit of Jewish sovereignty over the Jewish homeland, it is difficult to discern any real difference between him and any common or garden leftist two-stater. “Right-wing” voters have, therefore, good reason to feel deceived! Liberman’s call to foreswear attempts to extend sovereignty over Judea-Samaria provoked strong reaction among several pundits. For example, Caroline Glick published a blistering critique of the defense minister, his suitability for his post and the manner in which he discharges his duties. Somewhat uncharitably she ridiculed his suitability for defense minister, characterizing him as “a man with an understanding of military and strategic affairs that began and ended with applause lines”. Indeed, in many ways, Liberman is uniquely unsuited for the post. Prima facie, he is probably the least qualified individual to serve as defense minister in recent decades, arguably even less than the disastrous Amir Peretz, who unlike Liberman, at least attained an officer’s rank in the IDF. But Liberman’s appointment to the most prestigious and powerful position in Israeli politics after that of prime minister, is particularly perverse. 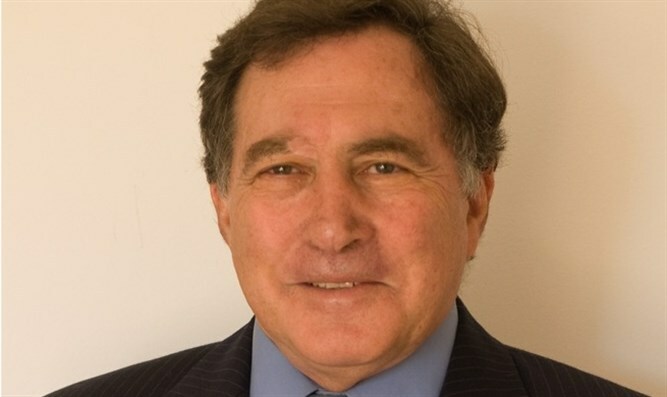 After all, it came after he suffered a disastrous 2015 electoral defeat, with his Yisrael Beiteinu party being cut in half at the polls—and then perhaps his most prominent Knesset Member, Orly Levi- Abekasis, resigning, leaving Liberman’s faction even further depleted. Accordingly, neither professional qualifications nor electoral power can be plausibly invoked for justifying placing such enormous power in his seemingly ill-equipped hands. But putting the question of credentials and merit aside, Glick’s substantive criticism of Liberman’s conduct is spot on. For rather than devoting efforts to present his own country’s strategic interests and goals to foreign governments in order to explain and promote them, Liberman is, in fact, doing precisely the reverse: Endeavoring to present the alleged views of a foreign government to his own government (and public) and warn them of the consequences of not acquiescing to them. Of course, Liberman’s sensitivity to international opinion is somewhat incongruous given some of his bellicose outbursts in the past—such as his threats to bomb the Aswan Dam, overrun Gaza and assassinate Ismail Haniyeh, leader of Hamas in Gaza. Indeed, in the not too distant past, Liberman provided clear indication that he could not be counted as a reliable hawk. As foreign minister he displayed remarkable affinity for John Kerry’s dangerous 2013-14 peace initiative. He dubbed Kerry “a true friend of Israel” and went so far as to laud Kerry’s efforts, saying “he is leading the process correctly,” taking pains to distance himself from Naftali Bennett the head of the hawkish Bayit Yehudi party, whom he criticized sharply for his censure of Kerry’s initiative. Liberman’s new dovish stance was immediately embraced by the left-leaning media. 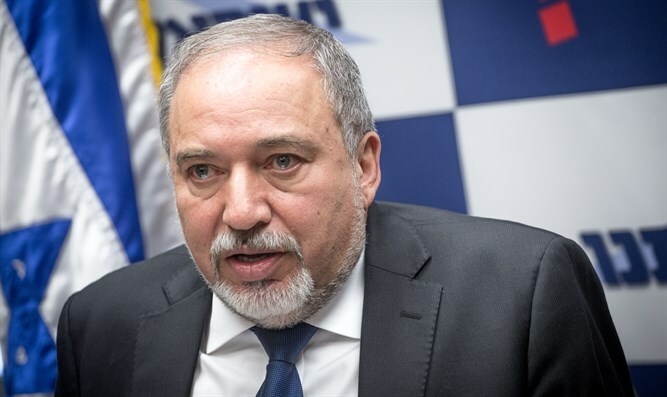 As Defense Minister, Liberman’s ill-conceived and counterproductive largesse towards the Palestinian-Arabs continues to reap praise from the left-leaning press. Thus, Al-Monitor’s Ben Caspit gushed: “For all intents and appearances, the defense minister is showing himself to be level-headed, moderate and rather pragmatic”. So there you have it: In the perverse discourse on the Israel-Arab conflict, to be considered “pragmatic” one must be sufficiently pliant to profess support for the fatally flawed and failed two-state formula—no matter how tragic or traumatic the consequences. The perception of Liberman as an abrasive hard-liner, for which he was excoriated by the domestic and the foreign press, was due far more to his blunt statements regarding the loyalty (or rather, the lack thereof) of Israeli Arabs, particularly their parliamentary representatives, rather than to any territorial intransigence regarding the Palestinian question. Curiously, he never seems to consider calling on the left-leaning doves to forgo their disastrously disproven concessionary dogma in order to attain the desired goal of unity. For some reason, he seems to assume that it must be the hawks who will have to give way to the doves to achieve that—despite the lessons of the past. Thus, Liberman’s credentials as a hardline hawk have always been a little questionable. He has not only been amenable to relinquishing significant parts of Judea-Samaria to a putative Palestinian state, but has advocated transferring parts of pre-1967 Israel – albeit along with the Israeli Arab population resident in them – to Palestinian rule, in exchange for large settlement blocs across the Green Line. Perhaps the time has come to call Liberman out for what he really is: A dove in hawk’s feathers.